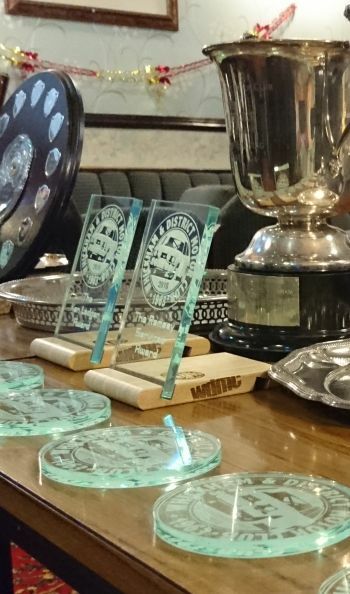 Whickham and District Motor Club’s Annual Awards night, held every December, is a wonderful opportunity for all our members to come together to celebrate the members achievements in all their motorsport categories. This year was once again, just as in the past, a thoroughly enjoyable evening with WDMC Club Vice Chairman Phil Kenny and Competition Secretary Tosh Townsend taking centre stage to announce the Award Winners and their achievements. 2018 has been a very good year for both competitors and the Club in general, as was evidenced by the sheer number of awards on display. Competition has been fierce in many areas this season, with some Championships going right down to the wire and the Club has seen some epic results from some of its members throughout the year. The evening was a very well attended affair, the atmosphere was relaxed and good natured and there was an air of expectation around as people waited to see and hear who the award winners were. They did not have long to wait. First anouncements were for the Monthly Notable Achievement Awards, given each month to members who deserve particular recognition for an act or result that happened during that particular year. 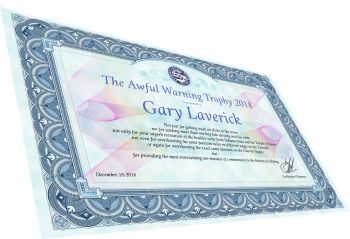 Sometimes these awards are not given, other times there may be multiple recipients; it is all down to recognition of a notable Achievement. For his considerable contribution to Marshalling throughout the past year. For the incredible results he enjoys in the epitome of a 'shopping car'. For completely embracing the club culture and his great contribution to the club. For his incredible season and sealing the 1600c Championship title. For his incredible work behind the scenes and the effort he puts in on behalf of the Club. For the finest two minutes of live rallying commentary the club has heard in years. The evening concluded with a superb buffet and general conversation. The atmosphere was extremely good, with members staying until very late and taking the opportunity to have a really good catch up with everyone and hear how they were doing. Whickham’s Annual Awards night once again showed not only how active its members are but also just how promising the future is for the Club.